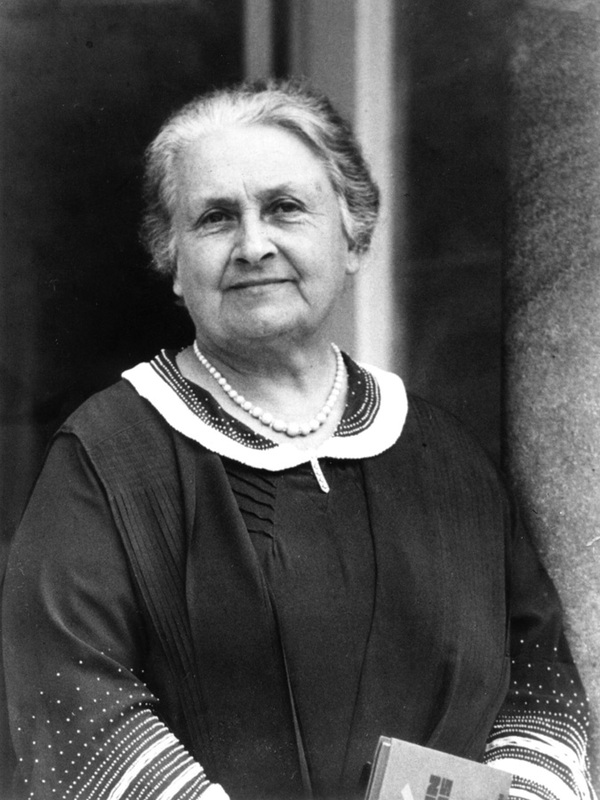 As a scientist, physician, and educator, Maria Montessori was an expert in all her fields. She believed in the power of observation, the care and organization of thought, and the courage to share her discoveries with the rest of the world. She also knew that all these hypotheses she was forming, based solely on observing children, would need to be backed up with scientific facts. Montessori’s fundamental insight into early childhood education was that children are born naturally inquisitive. As adults, we don’t have to force children to learn. In Islam we would refer to this as the fitrah, or natural tendency, of the child. We only need to provide them with the right environment in which to explore their interests. The Montessori classroom is a special place: a place designed specifically for children, where literally the only thing that is out of place is the adult. With neatly ordered materials/works, carefully placed in sequential order on their shelves, children set out on a daily adventure in an environment that is tailor-made for their developmental needs. The Montessori method enables the teacher to deal with each child individually in each area, and thus guide him according to his individual requirements. Each child works at his own pace. The “quick” child is not held back by the one requiring extra time; nor is the latter, in trying to keep up with the former, forced to rush along hopelessly out of his depth. Each stone in the mental edifice is “well and truly laid” before the next is added. Experiences and concepts build upon each other, from concrete to abstract. 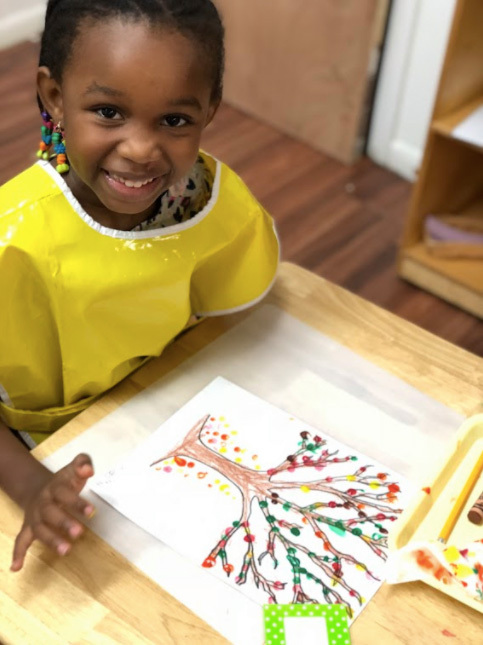 More than this, at every turn, a Montessori education provides endless opportunities among the children for mutual help — which is joyfully given and gratefully received. Since the child works from his own free choice, without pressure and coercion, he is free from anxiety, feelings of inferiority, and other experiences, which current research into early childhood now shows us, are apt to be the unconscious cause of mental disturbances in later life. The Montessori Method focuses on developing the whole child, not merely his intellectual/academic abilities but also his powers of deliberation, initiative, and independent choice, with their emotional complements. By living as a free member in a real social community, the child is trained in those fundamental social qualities which form the basis of good citizenship. ”The goal of early childhood education should be to activate the child's own natural desire to learn. When Sister Faatimah learned about the Montessori method, she immediately recognized the parallels between Montessori philosophy and our own Islamic teachings. 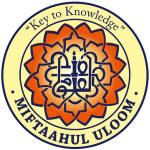 She knew the program would need a Muslim with a strong background in Montessori education who would also understand the needs of our community and be willing to put in the tremendous effort of starting a new Montessori program at Miftaahul Uloom. When she met Sister Sajida Sheikh, she knew she had found the right person. 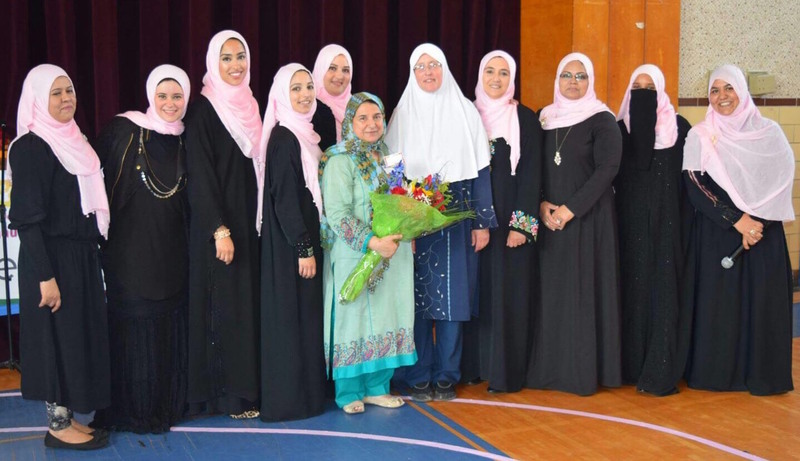 After completing her Montessori training in 1988, Sister Sajida had started working at The Village School (now in Waldwick, NJ); and had spent 15 years there. With over a decade’s worth of experience in a prestigious Montessori school and her level of expertise, Sister Sajida successfully established the 3-6 Early Childhood program at MUA. In 2002, the very first 3-6 class opened its doors to our community with Sister Sajida herself as the lead instructor. Under her mentorship and guidance, Sister Sajida trained many instructors and served as a lead teacher until her retirement. She still advises the teachers and administrators at MUA up until this time. At the request of parents who loved Montessori and wanted the program to expand, MUA began a 6-9 program in 2003. MUA will add a Toddler classroom for 2.5 year olds in 2018-2019. Practical Life activities develop independence, fine and gross motor skills, social skills and confidence. These are genuinely useful jobs that keep the work environment neat and tidy, and allow the children to learn using their imagination as they are working with real things. On first entering the nursery class, children are given the opportunity to develop important life skills which will allow them greater freedom in the classroom. The children pour liquids, polish silver, wash tables, sweep, and in doing so, are developing calmness, order, concentration, coordination and fine motor skills. At the same time, through the process of learning to meet their own needs, learning to take care of the classroom environment and through the experience of helping others, children in Montessori programs begin to develop independence, self-confidence, and self-respect. Advanced Practical Life activities expand a student’s concentration and help him pay attention to detail. They further improve the student’s fine motor skills, independence, grace and courtesy and give him pride in his work. Students learn to show respect for the environment, class mates and teachers which leads to strong self esteem, self confidence and self control. First learning is done through the senses and the Montessori Sensorial material cover a range of well thought-out exercises to help children sort, match and compare objects by shape, size, touch, taste and sound. These early sensorial impressions boost the children’s powers of observation and deduction, broaden their vocabulary and contribute to their later understanding of formal educational concepts. The Sensorial materials lay a solid foundation for mathematics, geometry, geography, botany, and art. The materials are self-correcting and so the children become comfortable with the fact that errors are essential to the process of learning. Mathematics is about understanding relationships in the environment and being able to express them in abstract terms. In the primary class, Montessori materials such as the number rods, spindle boxes and golden beads provide step-by-step learning. The children learn to count, associate quantity and numerals, and gain a sensorial impression of the decimal system. Once again the materials are self-correcting, which means that children can see at a glance if they have made a mistake. Each child progresses at his or her own rate and understands each stage before they move on to the next. Maths at the Primary and Elementary level is made up of many little details that form a whole, but each detail is complete unto itself. All early maths exercises are worked at the sensorial level so as to ensure that the child relates the quantity to the symbol. Our language materials are based on a carefully structured phonic approach to writing and reading. At first the children learn sensorially by tracing sandpaper letters with their fingers while being told the sounds. Soon, they are writing simple words with the moveable alphabet, matching words with objects and reading their first pink three letter words and then phonic reading books. Culture Studies bring an awareness that everything in the universe is connected and all components depend on one another. This forms a ‘whole’ that works in harmony; we are part of this whole and our contribution towards the well being of this whole is important. Children use globes, puzzle maps and flags, which help them to build their understanding of other countries, cultures and people. They use pictures and name cards to match, classify and name the elements and species of the natural world. Classroom plant-growing and caring for pets help to form a bridge between the child’s knowledge of the immediate environment and the wider world. The Elementary curriculum introduces history through the Five Great Lessons; the story of the universe, life coming to earth, the coming of humans, the story of writing (language) and the story of numbers (mathematics).